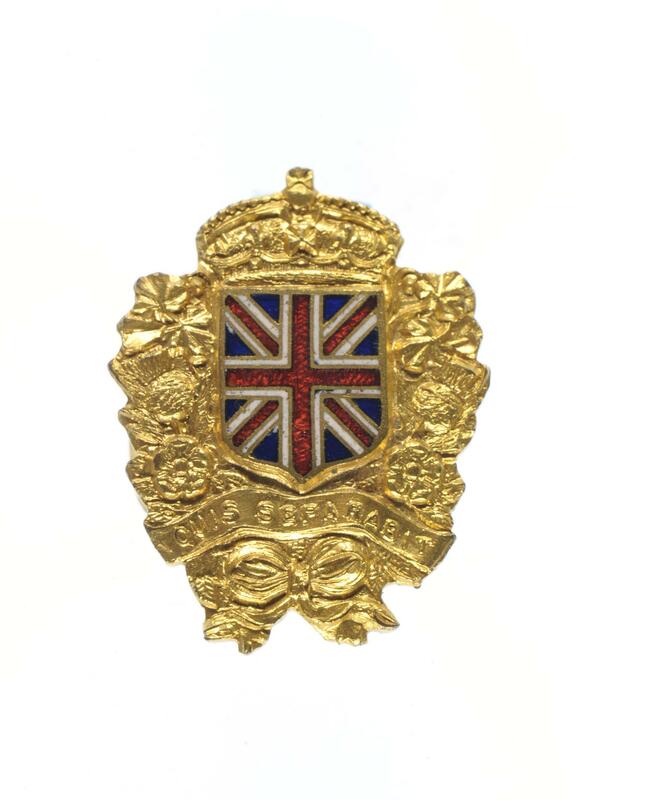 Badge; Gilt and enamel Union Jack flag in full colour, crowned set on a wreath of roses, shamrock, thistle with a scroll at the bottom inscribed "QUIS SEPARABIT", which means 'Who Will Separate Us?' in Latin. Motto of Order of Saint Patrick, also used by the Connaught Rangers as a motto.